SCUFFY might sound like the name of a kitten rescued in a children’s book, but it is actually the name of a community rescue program in Shelby County that helps provide safe places for kids to thrive, transportation for chemo patients, medical care for the uninsured, community leadership training, home away from home for military men and women, as well as nutritious meals, respite, and care for neighbors. …And that’s why we couldn’t be prouder of Shelby Materials’ Chief Financial Officer Aaron Haehl! See how he is rolling up his sleeves to make a big impact this year for SCUFFY. 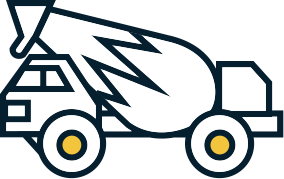 The 64th annual Shelby County United Fund (SCUFFY) Campaign will have its official kick-off on March 7, 2018. The goal for the 2018 Campaign is $830,000.00, and our very own Aaron Haehl happens to be a Campaign Drive Chair alongside Eric Glasco of McNeely Stephenson. Aaron was born and raised in Shelbyville. He is a 1999 graduate of Shelbyville High School and holds a Bachelor’s Degree from Purdue University. He has followed in the footsteps of his grandmother, Virginia Owens, for several years now as a SCUFFY volunteer. Additionally, he was the 2017 SCUFFY campaign co-chair and serves on the SCUFFY Board of Directors. 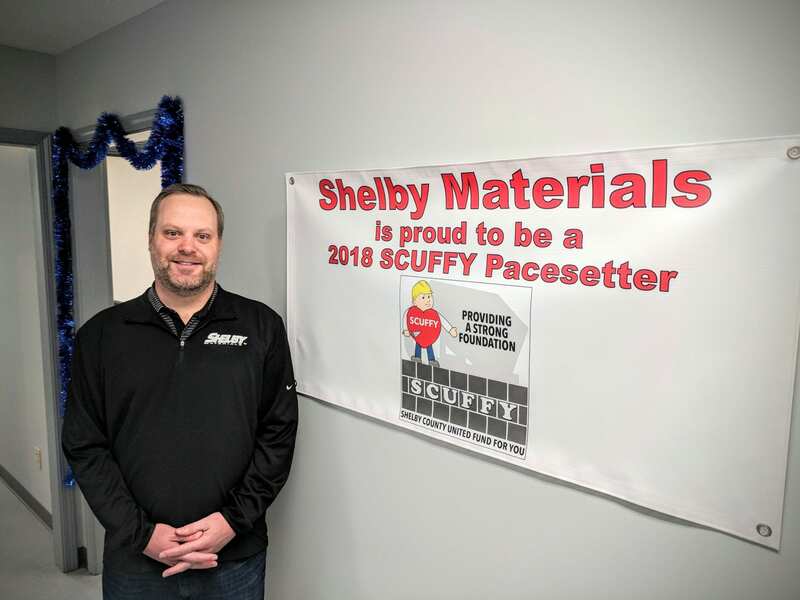 The 2018 Campaign Pacesetters include: Shelby Materials, Ryobi Die Casting USA, PK USA, Freeman Family Funeral Homes, St. Joseph Catholic School, Fiddlers Three/Maxim Events, First Merchants Bank, MainSource Bank and Shelby County Co-op. Part of the breakfast on March 7th is the announcement of the funds the Pacesetters were able to raise to kick-off this year’s campaign. The 2018 SCUFFY campaign drive runs March 7, 2018 – May 6, 2018, and at least 80 percent of every dollar pledged goes directly to SCUFFY member agencies. Learn more about SCUFFY and help this year’s campaign here. Read SCUFFY’s January newsletter and see more on the 2018 campaign chairs here.